Is There a Cure For Reactive Attachment Disorder? Sadly, there is not. Anyone who has cared for a foster or adoptive child for any length of time knows the frustration of RAD. The mood swings, the fake charm, the inability to attach, the inability to trust, the lack of “stranger danger,” triangulation and manipulation is enough to make any parent exhausted! Not to mention, the guilt parents feel, the lack of support and the judgmental gaze of outside onlookers, as if you are a bad parent. You may feel like giving up. But please don’t! There may not be a “cure,” but there is hope. Foster or adoptive children with RAD have a lack of trust because of a traumatic event(s) caused by their primary caregiver or from an inability of that caregiver to protect them. Therefore, the child feels that caregivers cannot protect them from future trauma. “If I can’t trust my real parents, why should I trust you?” The best barometer of success I’ve seen for children with RAD is simply this: TIME + CONSISTENCY = TRUST. The longer a child has been in a traumatized situation, the longer it will take him to heal. 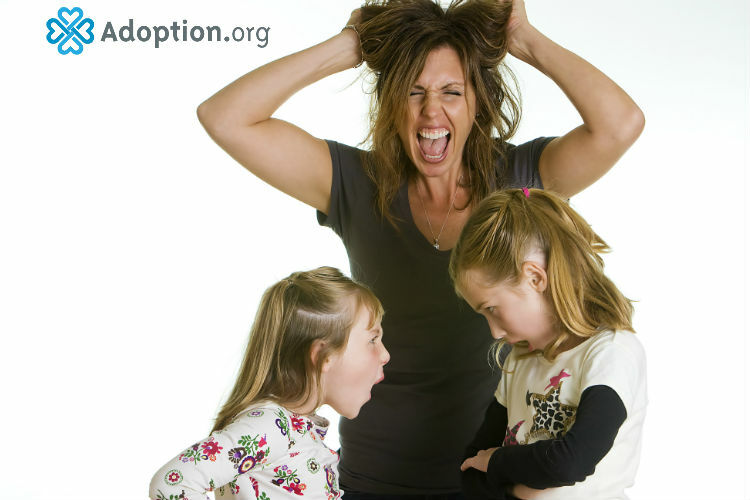 Most foster/adoptive parents want a quick fix. They want a “cure” or medication to fix the child. The fact of the matter is, part of the solution is simply patience. Will a child with RAD “grow out of it”? No, not necessarily, but the longer a child is in a healthy environment, away from trauma, the better his chances are of recovering from that trauma. Some foster parents disrupt a RAD placement within a few months if they don’t see things working quickly. But sometimes, a disruption re-traumatizes that child and sets that child back another six months. The best solution is for the caseworker to fully disclose the child’s special needs before the placement so the right match can be made so the family can be fully prepared to meet that child’s needs. Regardless, it will take time. Be patient. The second part of the equation is consistency. A child with RAD is reacting to the trauma they received earlier in their childhood. When we take away the trauma, the inconsistency, and the dysfunction, and replace it with consistency, and we meet felt needs, the child learns to trust. When parents provide consistent and predictable meals, shelter, appropriate touch, communication and interaction, the parent starts to earn the trust of that child. A healthy relationship with a consistent caregiver makes all the difference. A child who learns to trust his/her caregiver becomes an adult who has productive relationships. The opposite is also true. If no action plan is taken with children with RAD or no healthy relationships have been modeled, they can have very broken adult relationships because of their lack of trust. These adults experience, divorce, frequent moves in employment and may, themselves, experience losing a child to the foster care system. It’s a vicious cycle. But it doesn’t have to end that way. Are you that adult? Do you have what it takes to provide the time and consistency a child with RAD needs? Do you have a thick skin? Do you have unconditional love? Can you put your hurt aside and address the hurts of that child? I am fully aware that some children/teens with RAD can be destructive. An alternative, temporary plan may be needed for that child. But that doesn’t mean you step out of that child’s life permanently. It simply means you will do whatever it takes to help that child heal. Will it take time? Yes. Will things get messy? Maybe. But will it be worth it to see that kid succeed in the end? Absolutely! For more information on Reactive Attachment Disorder or adoption, go to Adoption.com. Derek Williams is an adoption social worker and has been in the field of child welfare and behavioral health since 2006, where he has assisted families in their adoption journey. He and his wife started their adoption journey in 1993 and have eight children, six of which are adopted. His adopted children are all different ethnicities including East Indian, Jamaican and Native American. He loves traveling with his family, especially to the East Coast and to the West Coast, and is an avid NY Mets fan! Foster care and adoption are his passions and callings and he is pleased to share his experiences with others who are like-minded.